This district is very popular with visitors thanks to different available entertainments and attractions. 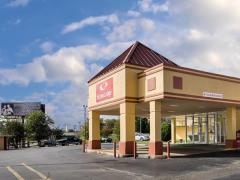 Captivating 3 star Best Western Inn Benton includes an exclusive selection of suites and guestrooms and is sure to meet your requirements for glamour and pleasure. 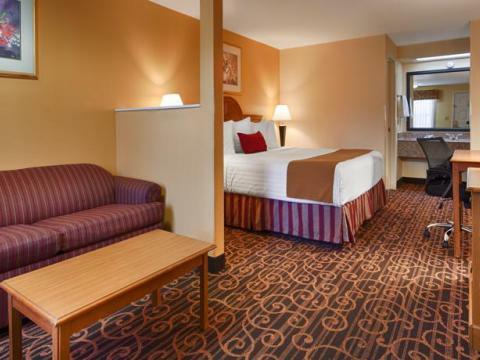 Enjoy Benton’s prime landmarks from the windows of your queen room with two queen beds. Every personal bathroom comes with free hairdryer . 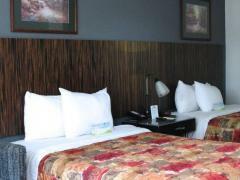 Cosy 71-82 inches wide beds with excellent linen are featured in the rooms. Need more space? Then book a 300 queen room with two queen beds and enjoy not only spacious area but multiple neat features as well. Popular recreational facilities are available on-site – golf course, but you might need to check if there is an opening in their schedule beforehand. 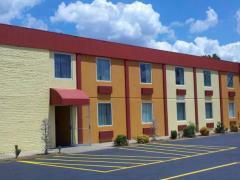 Why should you book Best Western Inn Benton? Extra Beds All children are welcome. Free! Any additional children under 18 years stay free of charge when using existing beds. Up to two additional older children or adults are charged USD 6 per night for extra beds. Up to two additional older children or adults are charged USD 6 per night when using existing beds. The maximum number of extra beds/cribs in a room is 1. Any type of extra bed or crib is upon request and needs to be confirmed by management. Additional fees are not calculated automatically in the total cost and will have to be paid for separately during your stay.